Essential Components of an Effective Family Wealth Transfer Plan | The Levin Law Firm - Philip Levin, Esq. This proverb reflects the common experience, throughout the world, that family wealth is often exhausted within three generations. The failure to sustain and maintain wealth can be due to various business and economic conditions (e.g., market risk, capital risk, interest rate risk), poor management and vision, failure to train and mentor children, sudden death, transfer taxes implications, as well as lack of a comprehensive business succession and estate plan. A syndrome called “affluenza” – the general malaise that may take hold in the second and third generation, due to the lack of fulfilling, purposeful activity which is necessary to develop self-esteem, self-worth, motivation, self-confidence, and a personal identity, has also resulted in business failures and ineffective wealth transfer plans. Transferring a non-publicly traded family business, as well as substantial assets to the family, without preparing children and grandchildren for the receipt of inherited wealth, is likely to be the undoing of that wealth. In fact, one study suggests that 60% of multi-generational wealth transfer failures resulted from lack of communication and trust, as opposed to 3% resulting from tax or financial planning mistakes. In many cases, the first and second generations are identified by and gain a strong purpose in life from the activity of accumulating wealth, whether it is in a business or another occupation. The third and fourth generations may have a difficult time fitting in or finding “their own way”. Unfortunately, these differences may create a communication divide that exacerbates the wealth transfer problem. Our experience reveals that wealth transfer planning is often focused on preparing investments for transfer from one generation to the next, which include trust-based estate plans, business succession agreements, tax minimization strategies, and prenuptial agreements. These planning techniques are essentially focused on what will happen to the wealth, not the person who is inheriting and perhaps ultimately managing the wealth. One technique to address estate and succession planning is to initiate family legacy and education discussions, which we believe are essential to successful multi-generational wealth transfer. Investment Management Planning – Wealth accumulation and retirement distribution needs, including a candid discussions about time horizon, risk tolerance, asset allocation, and monitoring strategies. Wealth Transfer Planning – Estate planning, including selection of executors, trustees, financial and health-care agents, as well as implementing prudent and effective asset protection planning strategies, business succession plans, life insurance analysis, and transfer tax projections. 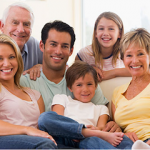 Family Legacy Education Planning – Family education in financial literacy and the impact to the second and third generation of receiving inherited wealth, whether outright or through a trust-based estate plan, is essential. Many of our clients include a “Family Insight Letter” and a “Family History Letter” to transfer “Core Values” to children, in addition to their investments and business interests. Charitable Trusts and Private Charitable Foundations to accomplish lifetime and testamentary philanthropic desires, is also top-of-mind for many of our affluent clients. 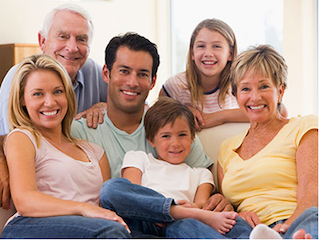 By incorporating all three (3) of these components, our clients are able to develop and implement an effective family wealth succession plan which empowers the next generation, rather than letting the chips fall where they may, and hoping their children will be ready to “take-the-reins” when the assets are eventually inherited. Taking a team approach to Investment Management, Wealth Transfer Planning, and Family Legacy Education is vitally important to accumulating and sustaining the transfer of wealth from one generation to the next. By assembling a team of allied professionals, focused on relevant wealth accumulation and transfer strategies, your clients can achieve their financial and estate planning goals. We welcome the opportunity to have a discussion with you and your clients who need to establish or update their estate and business succession plans. 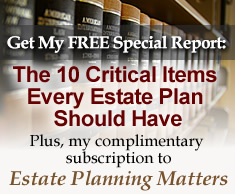 If you or your clients are interested in learning more about the estate planning services provided by The Levin Law Firm, please visit us at: www.levinlawyer.com. To arrange a Complimentary Consultation with estate planning attorney, Philip Levin, Esq., please call Lauren or Ashley at 610-977-2443.